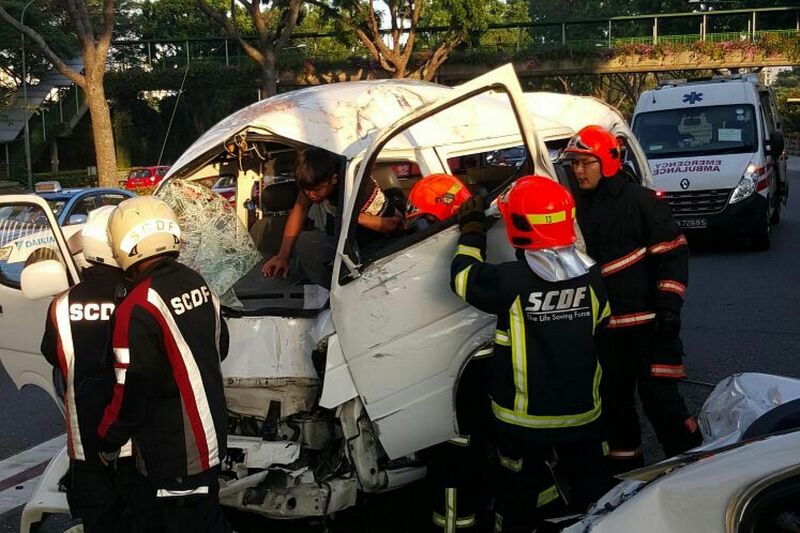 SINGAPORE - Twelve people were injured in a serious accident along the Ayer Rajah Expressway (AYE) on Thursday (March 10) morning. The accident, which involved a private bus, a van and a sedan, took place just after the Clementi Avenue 6 exit, in the direction of the Marina Coastal Expressway, at around 7.30am. All 10 people - including the driver - in the Malaysia-registered van suffered varying injuries, while two passengers from the sedan, a man and a woman in their 40s, were also hurt. According to a Singapore Civil Defence Force (SCDF) spokesman, a fire engine, a red rhino, a support vehicle, two fire bikes and four ambulances were dispatched to the scene. 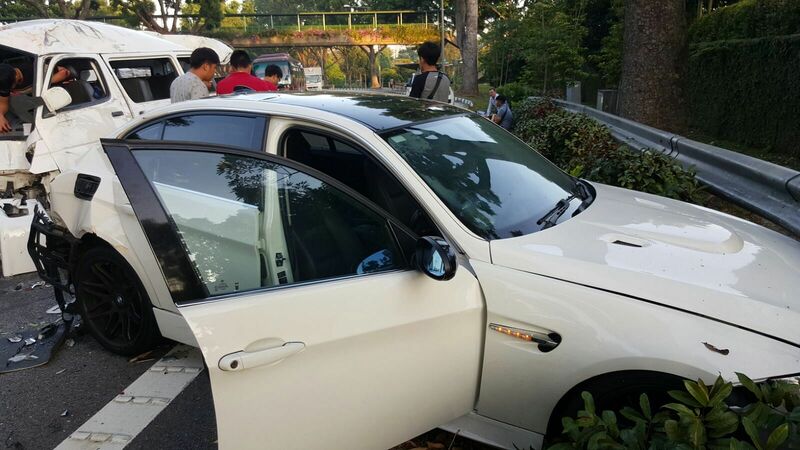 Seven men from the van, aged between 17 and 20, were sent to Ng Teng Fong General Hospital for minor injuries. SCDF personnel had to use hydraulic tools to extricate another man who was trapped in the van. The victim, along with two others in the van, suffered more serious injuries and were conveyed to the National University Hospital (NUH). The Straits Times understands that their injuries ranged from minor fractures to lacerations. The sedan's two passengers were also taken to NUH, with the female passenger suffering multiple injuries. A passer-by, who gave his name only as Chris, sent several photos of the accident to citizen journalism website Stomp, which showed the badly damaged van and sedan by the side of the expressway. The 31-year-old told The Straits Times that he and his colleague had stopped their car to render assistance and call the authorities. "Some of the victims were quite badly injured. I saw a woman lying on the road and she was bleeding profusely from several wounds," he said. While Chris did not witness the accident, he said one of the van passengers told him the driver of the private bus had hit the back of the van, which caused it to flip over. The impact also caused the van to collide with the sedan.